Dubai, the city that is always ahead of innovative curves, has a lot to give to offer for the business community too. Whether you are an investor, an entrepreneur or just a tourist, Dubai has something for everyone. This fastest growing city offers an incredible business environment, worthwhile taxation policies and governmental conveniences, establishing it as the most ideal destination to start a business. Starting a business or holding a property in Dubai is something that’s not limited to the locals only – even expats and foreign investors can be a part of the city’s growing business industry and is also benefit from the UAE’s tax-friendly environment. Those looking to invest in Dubai should first carry out a thorough research on the market and create a viable plan. From planning to execution to paperwork to set up, there are few crucial tasks that need to be done before starting a legal work. JAFZA FREE ZONE is a freezone authority in Dubai which has another business wing named JAFZA OFFSHORE which is also known as Dubai offshore. JAFZA – Jebel Ali Free Zone Authority is one of the fastest growing free zones in Dubai. JAFZA offers a very streamlined process for investors/entrepreneurs to register an offshore company in JAFZA. Conveniently located on the southwestern area of Dubai, Jebel Ali Free Zone (JAFZA) has its own set of rules and regulations and the main aim is to attract foreign investment into the country. Offshore companies allow you to operate your business independently without anyone’s interference. Investors and entrepreneurs benefit from business flexibility, confidentiality, and tax efficiency by registering a JAFZA offshore company. One of the most important advantages is that companies can purchase freehold properties without any kind of hassles and easily protect the anonymity of their property portfolio. Offshore companies that come under JAFZA, provide 100% foreign ownership and do not require any local shareholding. In UAE, offshore companies can hold a local bank account with multi-currencies. Companies operating under JAFZA are not forced to disclose the shareholder and directors name in public register. Companies that come under JAFZA do not require any local sponsor or local service agent. Fast incorporation and full repatriation of the profits and capital is another major benefit of investing in JAFZA. Setting up in the freezone is pretty simple and straightforward. Ready-made warehouses and office spaces are available to provide utmost convenience to its professional partners. With a client base of over 2 billion people, 16 new companies are registered every month in JAFZA. Another benefit is the UAE’s tax-friendly environment – no tax is levied on the corporate income of companies operating under JAFZA. JAFZA is just a 45-minute drive from Dubai International Airport and offers its professional partners with the fastest access via shipping to West and South Asia, Africa, Singapore and Middle Eastern countries. The city which was once nothing but just a plain desert has now transformed itself into one of the leading business and tourist destinations in the world. Whether you want to relocate to Dubai or are looking to invest in real estate, you will always find many profitable properties available for sale. Companies that come under JAFZA get the full privilege of buying a property in Dubai, without any barriers. 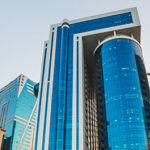 The major advantage of holding a property under the JAFZA offshore company is that one can purchase a real estate property in the name of the company. This is one of the reasons why the real estate business is growing steadily and will always be a profitable industry. Another benefit of holding property is the return on investment that you get by renting out commercial properties. Commercial property investors enjoy more profits on rent as compared to residential property owners. Valuation certificate of Property Land Department, for this property, has to be updated in the land department. 7 to 10 days and cost will be approx. AED 4020 (residential) to AED 6,020 (commercial) depend on the property type. Book an appointment in the land department & after getting an appointment we have to land department for the signing of the transfer agreement. POA holder can do this. In order to prove the residency, should submit the utility bill. For a corporate applicant, it is a must to submit a certificate of incorporation of the company. The applicant should also submit the memorandum and Articles of Association of the parent company. In order to set up a company in JAFZA, Board resolution demands the offshore company to set up a company with a power of attorney authorization, allowing an individual to sign on behalf of the company. All these documents should be attested by the UAE Embassy of the home country and from the ministry of foreign affairs in Dubai.